J.PERIOD’S PRODUCTION RESUME BOASTS COLLABORATIONS WITH GRAMMY® WINNERS NAS, THE ROOTS, KANYE WEST, Q-TIP, COMMON, MARY J. BLIGE, JOHN LEGEND AND, MOST RECENTLY, PULITZER PRIZE-WINNING PLAYWRIGHT LIN-MANUEL MIRANDA ON THE BILLBOARD #1 ALBUM, THE HAMILTON MIXTAPE. As an original composer, J.PERIOD’s work has been featured in the EMMY® award-winning docu-film The Doctor, the critically-acclaimed EPIX original series America Divided, the NBA TV’s flagship series Inside Stuff, and film trailers for Universal Pictures’ American Gangster, Fox Searchlight’s Street Kings, and the 2016 documentary, Norman Lear: Just Another Version Of You. 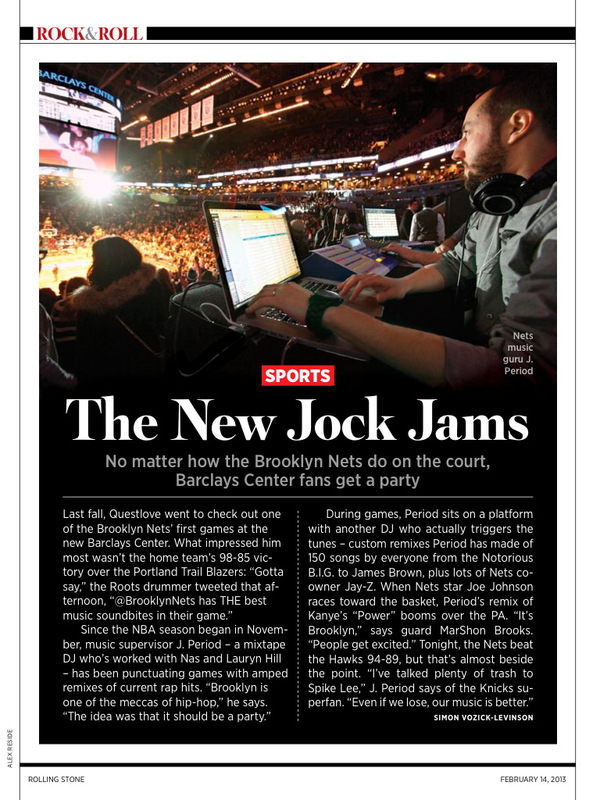 As Music Supervisor for the Brooklyn Nets’ debut at Barclays Center, J.PERIOD’s custom-curated soundtrack won rave reviews as the new standard for music in the NBA arena (ESPN). J.PERIOD also produced the Nets’ opening theme song in 2013 and 2014. On stage, J.PERIOD’s innovative performance series, The Live Mixtape and The Art of The Crossfade, have been featured at festivals including The Roots Picnic, the historic launch of the Smithsonian NMAAHC, SXSW and also featured at TED Talks. J.PERIOD has also performed as Official Tour DJ for artists including Black Thought, The Roots, Lauryn Hill, Q-Tip & Kanye West.